Facebook is looking forward to start monetizing and paying videos being uploaded by users. It's a welcomed development. Facebook social media has been growing massively both in revenue and in the number of daily active users on their platform. Facebook reported on their growth concerning their revenue as at the fourth quarter of the year 2016, that the revenue flourished by 51% That's actually growth indeed. Now, the owner of facebook who I call a business tycoon, is planning and as well working to start increasing his already flowing wealth through the medium of Video monetization. So interesting right? Now, users can now make money on Facebook while catching fun with friends. 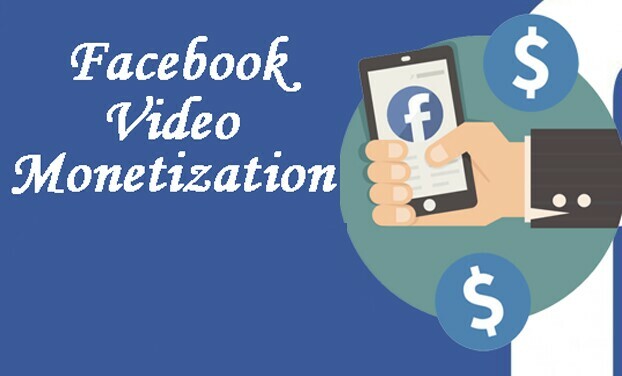 When this improvement is finally implemented, both Facebook and users will be able to generate profit out of the videos uploaded for monetization. This will look exactly like that of YouTube, where ads will be placed on the videos. How To Enable WhatsApp Two-step Verification on Android, iOS & Windows Mobile Phones. Behold the list of latest working ponzi Networking Sites. Check Out The List Of Some Top Tech Blog In Nigeria. It is not mandatory to monetize on Facebook if you are a user or has an account with them, as the opportunity will be given to you whether to monetize your videos or not. When this finally come to stay on Facebook, more videos will be pushed to users feeds. According to the reports from The Wall Street Journal, Facebook is already developing an app for Apple TV and other Boxes for the sole aim of promoting videos. But as it stands, it's still a rumor and hasn't been confirmed yet. If am to say something about this, Facebook has been making effort to see that the implement monetization of videos so as to generate more revenues in their platform.